Felicity Valdez just wants a simple life. She's turned her back on her family legacy and escaped to a tiny Pennsylvania town. She's even changed her name to cut all ties between herself and the powerful Valdez family, who rules the magical world. All she wants is to run her shop, a place where she can brew up potions and a damn fine cup of coffee. And maybe flirt with the gorgeous guy who keeps coming in to see her. But there's more to Damien than meets the eye, and Felicity is soon caught up in intrigue that could shatter her simple life forever. Damien Dragomir has been on the run for decades. 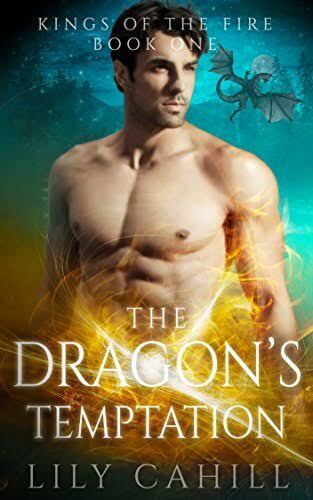 As the last dragon ruler of the magical world, he has sheltered his brothers from the Valdez family, usurpers who murdered his parents and would do the same to him if they could find him. Damien's drive in life has been the safety of his family, but that was before he met Felicity. He can't stop thinking about the beautiful witch who makes the killer coffee. Is the fire he feels for Felicity enough to trump his hatred of the Valdez name? Love is supposed to conquer all, but can it overcome their history?